You wake up to an obnoxious alarm telling you it's time to start the work day. In return, you silence the source of annoyance and think about how you just want to close your eyes again. The idea of leaving your cozy, restful slumber to spend your day working is unb ... (see full details) (see specifications) #1016778. You wake up to an obnoxious alarm telling you it's time to start the work day. In return, you silence the source of annoyance and think about how you just want to close your eyes again. The idea of leaving your cozy, restful slumber to spend your day working is unbearable. Here at Working Person's Store, we don't pretend that we have a magical solution to make every work day the equivalent of rainbows and sunshine, but we do have these KEEN Utility Mt. Vernon Men's 1016778 Black 6-Inch Steel Toe Waterproof EH Work Boots. Once you slip your sleepy feet into them, your mood will get just a little bit brighter. Because they're tough, these men's EH slip-resistant boots are also protective. They include a left and right asymmetrical steel toe cap. It provides more room than most other steel toes, and it passes the requirements set by the safety standard ASTM F2413-11 I/75 C/75 EH. The steel toe prevents harm to your toes from drop impact and applied pressure. The outsole provides electrical hazard (EH) protection because it's rubber. The outsole is also non-marking and oil- and slip-resistant. In fact, they passed the conditions for the non-slip testing standard ASTM F1677-96 Mark II. The TPU stability shank provides a firm, flat foot within the oil-resistant leather boots that helps you maintain your balance. Finally, the upper features locking metal hooks and lacing eyelets, which promote a secure closure so you won't slip around in your work boots nor will you the laces come undone and cause a risk. To eliminate the dreary feeling you have when you wake up to start a work day, these KEEN Utility Mt. Vernon boots need to be comfortable. When you wiggle your toes within them, you want to feel soft and supportive satisfaction. Rest assured, these men's 6-inch steel toe boots meet your expectations. Inside, you can reap the benefits of a thoughtfully crafted midsole, heel, lining, and footbed. The polyurethane (PU) midsole and integrated PU heel cushion offer great support while your feet are active. The hydrophobic/hydrophilic 2-zone comfort technology lining and removable metatomical dual density ethylene vinyl acetate (EVA) footbed are included for their cozy feel. As a material, PU is durable, which allows the midsole to offer strength to the EVA footbed. The metatomical EVA footbed is lightweight and superb at absorbing shock so that your feet don't have to. Plus, it cradles the natural contours of your feet to provide excellent support to the areas of your feet that need it most. Finally, the inside of these boots features Cleansport NXT™ technology to reduce and control odors. It should be noted that these brown EH boots are not compatible with aftermarket insoles or orthotics. But don't worry, these KEEN Utility safety toe boots aren't too soft to keep up with the work you do. They're as tough as you, if not tougher. For starters, they feature an upper made from Nubuck leather. Nubuck leather has gone through a sanding process that makes the material resistant to wear and yet softer to the touch. Beneath the upper is a strong rubber outsole that will resist showing the signs of age or wear. Because these are versatile, KEEN Utility included waterproof qualities. These KEEN Utility Mt. Vernon slip-resistant boots are made with waterproof Nubuck leather and rubber. To further protect your feet from liquid, they have the KEEN.Dry waterproof breathable membrane, which allows air in but not water so as not to sacrifice breathability. Finally, this men's steel safety toe EH footwear is ideal for the construction industry and were thoughtfully made to combat the conditions construction workers face. However, they're the perfect versatile waterproof footwear for any kind of working person. Next time your roll out of bed and silence your alarm, slip into these KEEN Utility Mt. Vernon Men's 1016778 Black 6-Inch Steel Toe Waterproof EH Work Boots from Working Person's Store. The coziness you feel will better your mood almost instantly, and going to work will seem like less of an arduous task. 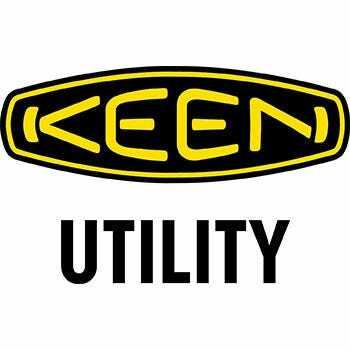 KEEN Utility Boots: Men's 1016778 Black 6-Inch Steel Toe EH Waterproof Mt. Vernon Work Boots is being added to your cart.